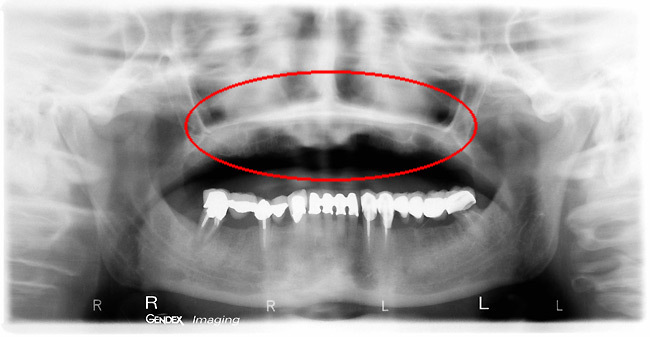 The loss of teeth, is always accompanied by a resorption of the alveolus bone, like an inescapable cast. The more bone deficit, the more difficult the prosthetic rehabilitation will be. Only in a limited number of cases will this be impossible. Anatomical : Impossible to insert implants. Esthetic : Because of the defect, prosthetic teeth are disproportionate to fill the void (horse smile). Phonetic : The more the bone is reduced, the larger the prosthetic. The phonetic becomes difficult. Functional : When the bone has disappeared, the prosthetic will not hold and it must be permanently attached. The patient becomes disabled, such as with a wooden leg. Psychological : The loss of the patients physical integrity is always accompanied by an internal suffering. This is lived like a real handicap, diminishing the person. I have for my part known patients who have wished to finish their days and others who cry of joy when the work of rehabilitation was a success... For the same reasons. Gustatory : How many patients fitted with dentures are not able to taste the flavors and the textures of their favorite meals or the subtlety of fine wine? For all of these reasons, a bone reconstruction can prove necessary prior to any placement of implants. After 6 months, implant placement. After 12 months of the prosthetic implant. In such a case a scion graft will be removed from the chin or from the ramus and grafted against the "knife blade" shaped crest. 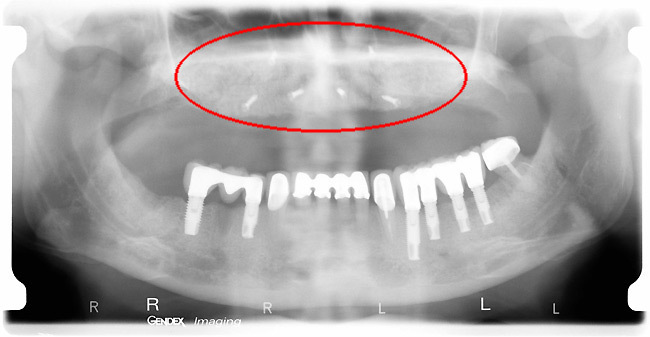 The healing period of this procedure usually takes up to 4 months. 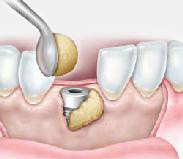 Once the graft has healed, it is required to immediately place the implants as to stimulate the bone's growth and to avoid the graft going to waste. Then, an "integration period" will follow for approximately 5 months. To optimize scaring, after having disinfected the alveolus, we introduce a filling material (Bio-Oss). 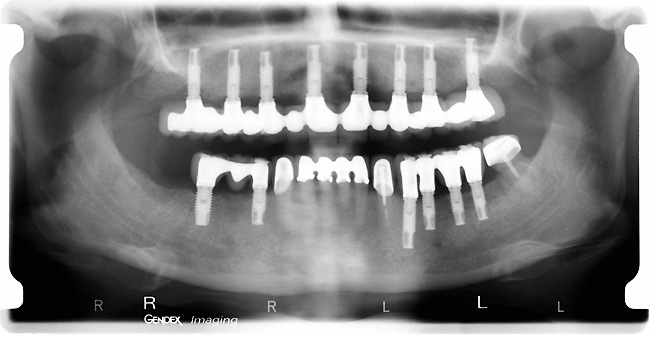 This material is osteoconductor, osteoinductor and absorbable aproximately in 18 months. A collagen membrane will come next to cover this material for the airtight graft and prevent the migration of the gums to the end of the alveolus. Allografts : of human origin taken the most often from cadavers. Materials which come from shells or coral. The BMP or growth proteins. Auto-grafts affixing from the origin of the chinstrap. The best material for reconstructing your mouth is your own bone, nevertheless the quantities available can prove insufficient, and it is then necessary to call upon filling material such as the Bio-Oss to complete the graft. 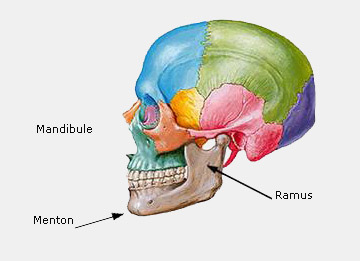 The period of ossification is then longer. What happens to the graft over time ? After 18 months, the histologics studies show that most of the Bio-Oss is reabsorbed and only the bone of the patient remains. 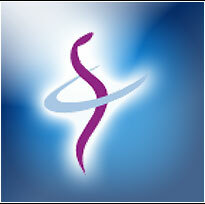 If the implants are well placed, the graft stays around the new implants.